Microsoft is preparing to launch its own music streaming service later this month, following the runaway success of Spotify.com and other similar services. TechRadar reported earlier this week that there has been a notable shift in younger web-users habits in recent years, with teenagers now favouring instant (and legal) streaming services such as Spotify, over illegally downloading their music via P2P sites. Microsoft's Peter Bale, Executive Producer of MSN, told The Telegraph today: "Music is an important area for Microsoft. We are looking at launching a music streaming service imminently." "We're excited to hear the news Microsoft are looking at a music streaming model. It's great that technology giants like Microsoft clearly recognise the importance of digital music for consumers. We'll have to wait to see whether they go for the crucial MP3 universal music format which works on all devices. "Also who will they partner with if they want to offer the music to purchase?" added Davis. "We recently announced 7digital.com is providing high quality MP3 downloads for all international versions of Spotify." Bale added that Microsoft plans to have its music streaming service ready by the end of July, offering a similar service to Spotify, with users able to stream tracks to listen to for free or opt to pay to download music they want to own. "It will be a similar principle to Spotify but we are still examining how the business model will work," noted Bale. "We are looking at how other similar businesses have structured their business models and trying to figure out what will work best for both consumer and Microsoft." Bale hinted that there could be tie-ins with Microsoft's Xbox 360, noting that Microsoft was in a unique position to bring "scale and a quality of product" to music streaming . 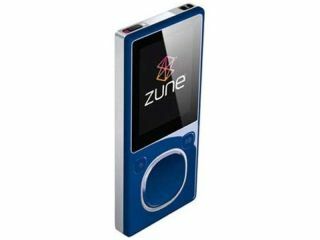 Microsoft will no doubt be using the streaming service to promote its Zune media player, though there is still no word on if and when the Zune will be released in the UK and Europe. TechRadar has contacted Spotify for further comment on this news.